Using video for professional development can have a huge impact on teaching and learning. But, there are some non-negotiables you need to consider. 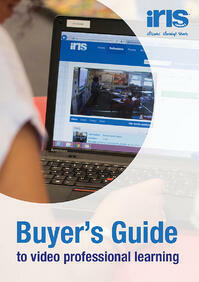 Use the form to get your free buyer's guide. "If you want to see what you need to do to improve in your classroom for your students, video is it." Whether you want to improve lesson observation, enable self-reflection or enhance feedback and coaching, our market-leading video professional learning platform is proven by research to work.